Android Hunter A Customization Updates! Check out this update featuring more of Android Hunter A’s Customization system. 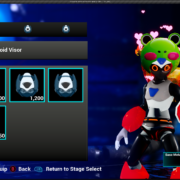 The customization system allows you to add visor, head, back and particle additions to Android Hunter A. We’re adding more and more items every day, so you’ll be able to experiment for hours and create your own personalized look! http://androidhuntera.com/wp-content/uploads/2019/02/1.png 1409 2568 digiplox http://androidhuntera.com/wp-content/uploads/2017/08/AHA-Logo-Main-300x139.png digiplox2019-02-04 03:12:162019-02-04 03:12:18Android Hunter A Customization Updates! 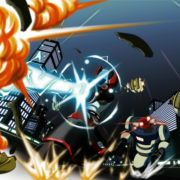 Android Hunter A has the ability to activate either the Empowered State or the Empowered Blast, unleashing a super charged continuous blast.